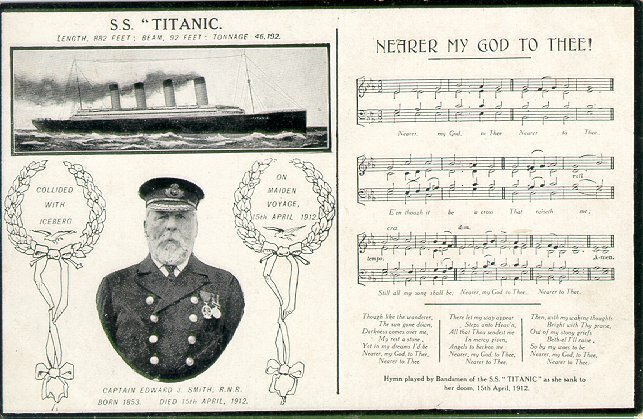 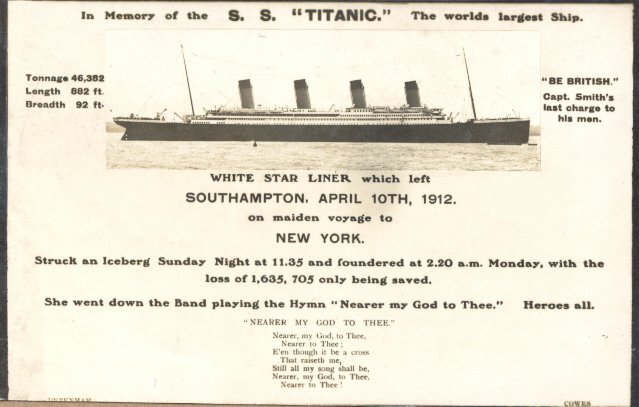 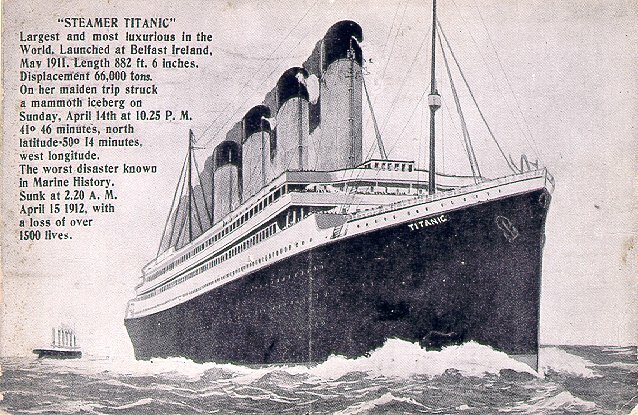 Many of the cards shown on this page do not, in fact, picture Titanic. 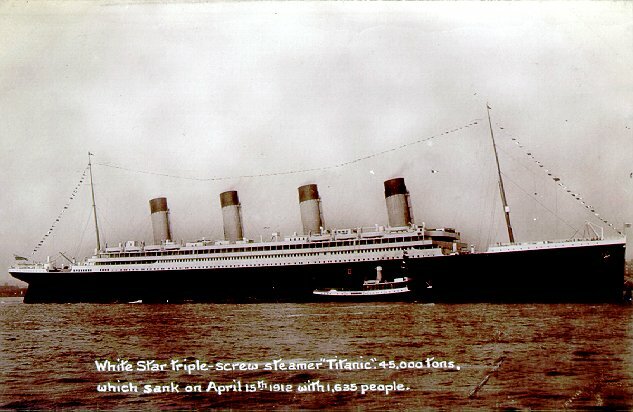 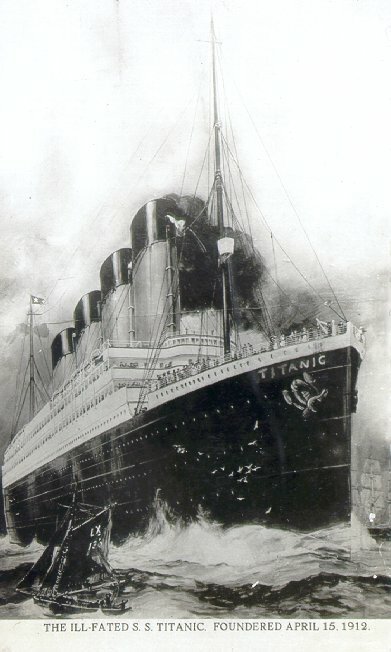 It was (and still is) common practice to substitute artwork, photos and video of Titanic's sister, Olympic, as Olympic material is far more common and the ships look very much alike. 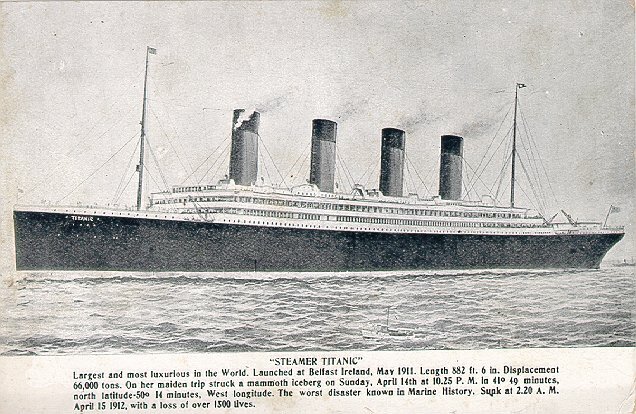 The two sisters can be most easily distinguished by their promenade deck, just below the lifeboats. 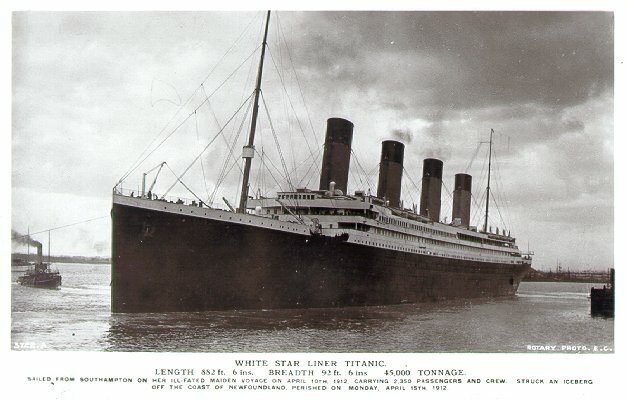 On Titanic the forward part of the promenade deck was enclosed to provide a private promenade for certain first-class suites, while on Olympic this deck was open for its entire length. 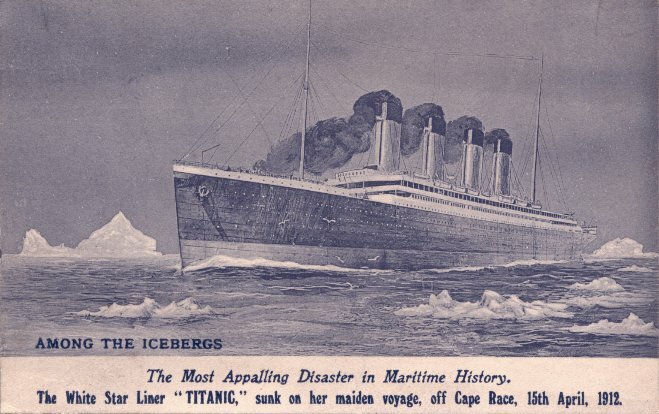 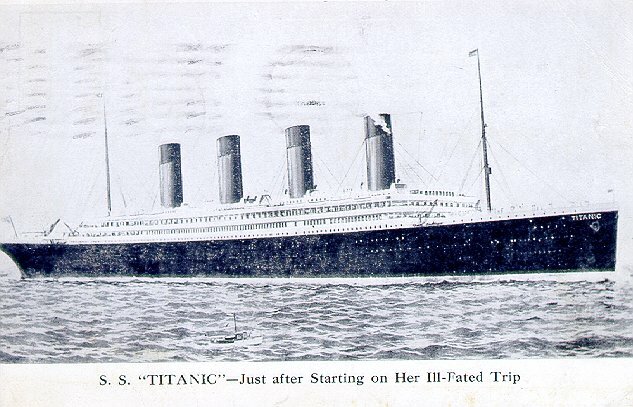 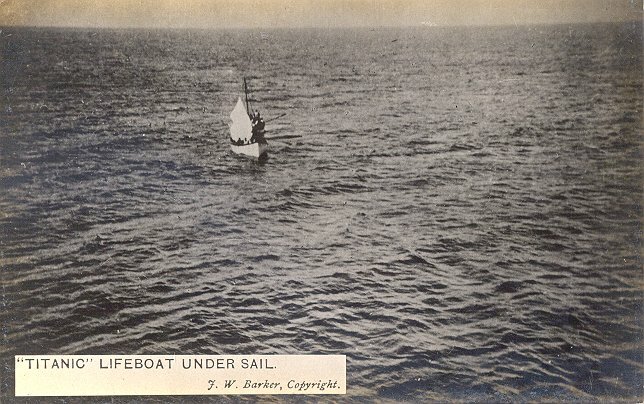 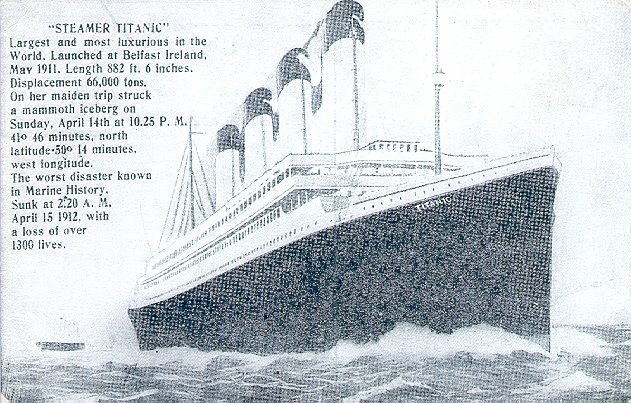 Particularly in the days immediately after the sinking, when most of these cards were rushed into publication, pictures of Olympic were much easier to obtain. 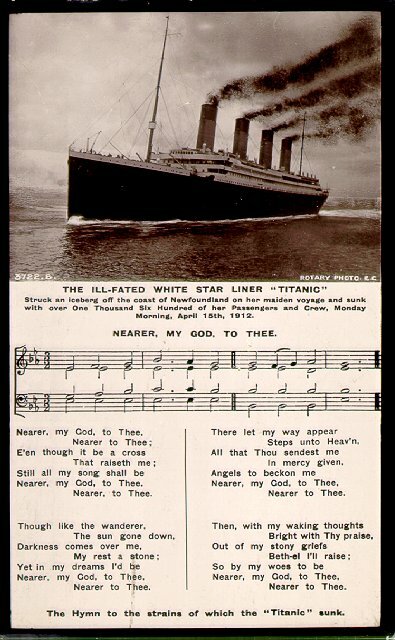 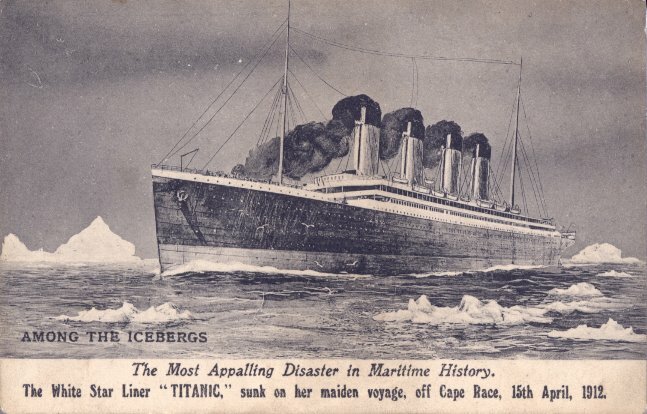 Indeed, many existing Olympic postcards were simply recaptioned "Titanic" and had some narrative about the sinking added to them. 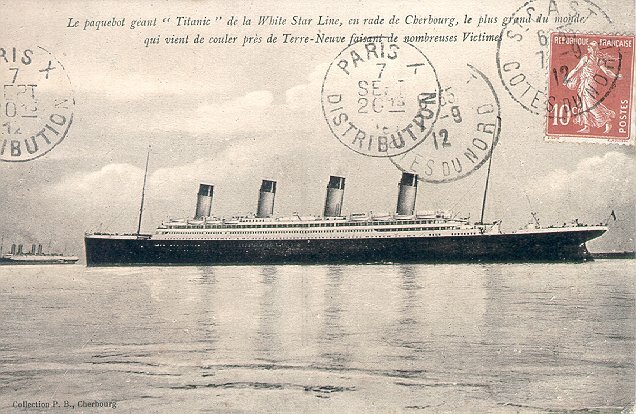 The one card which pictures neither of the White Star sisters is PC-TI04. 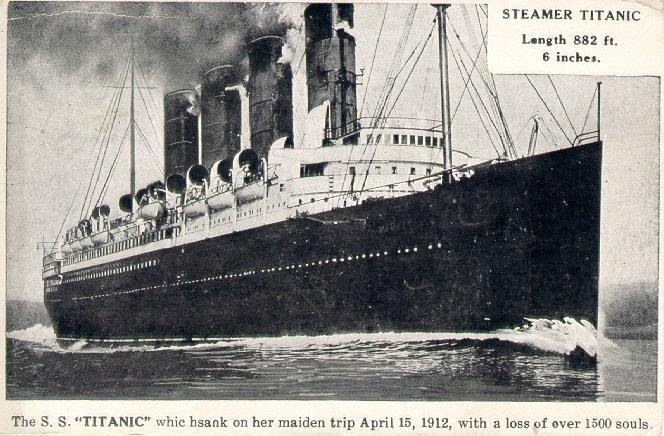 The ship pictured here appears to be Cunard's Mauretania.